On the weekend The Dodo Impact facebook page posted a VT of Olivia the turtle from rescue to release and within hours had been viewed over 400,000 times. 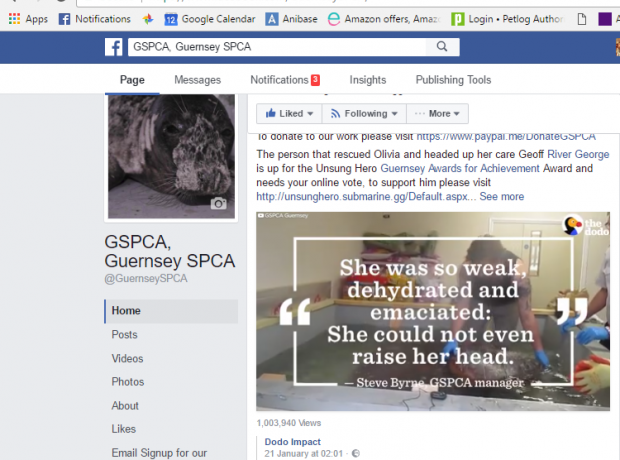 Today the total views surpassed 1 million making it without doubt the most international and best viewed video posted online of the GSPCA work. The GSPCA kept the team at The Dodo up to date with Olivia the loggerhead turtle's progress all the way up to her release last September. In just the last 6 hours nearly 400,000 views of Olivia's story have been seen thanks to The Dodo Impact facebook page. 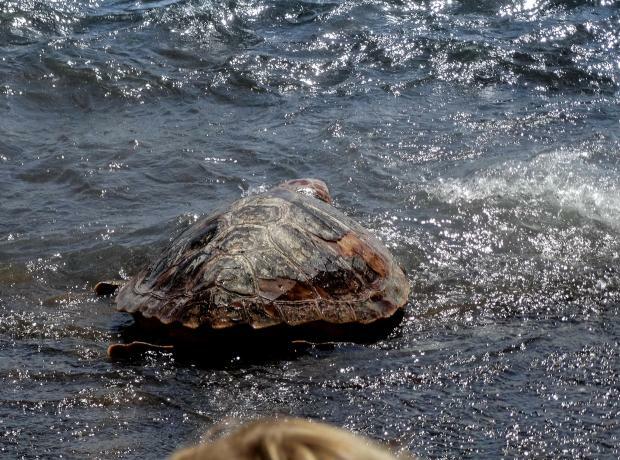 The GSPCA have been keeping the team at The Dodo up to date with Olivia the loggerhead turtle's progress all the way up to her release last September. Olivia was rescued in Guernsey on Vazon beach last March very close to death by the GSPCA and cared for at the Shelter until the end of July last year.